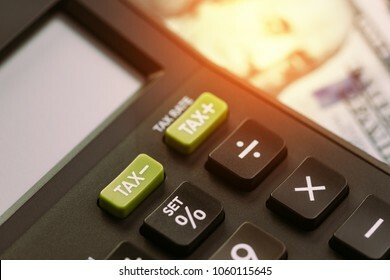 Loving the art form that gravitates towards lenses. 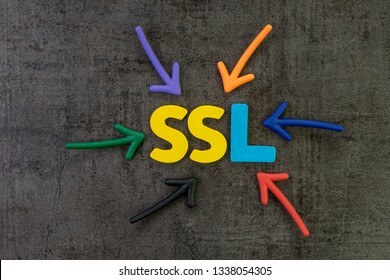 3,230 stock photos, vectors, and illustrations are available royalty-free. 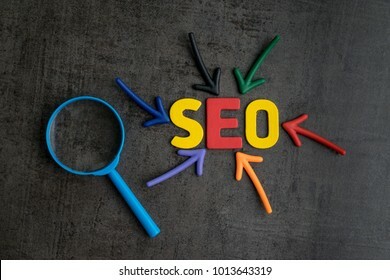 SEO, Search Engine Optimization ranking concept, arrows pointing to magnifying glass with alphabets abbreviation SEO at the center of cement wall chalkboard, the idea of promote traffic to website. 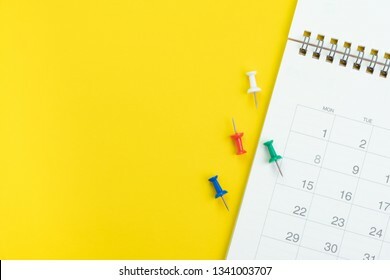 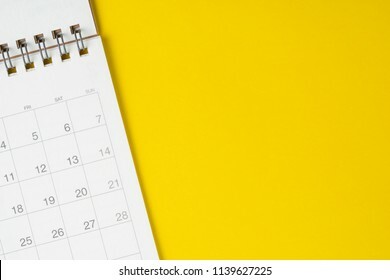 Flat lay or top view of clean white calendar with thumbtack or pushpin on vivid yellow background with copy space using as reminder, vacation plan, business organizer or meeting schedule concept. 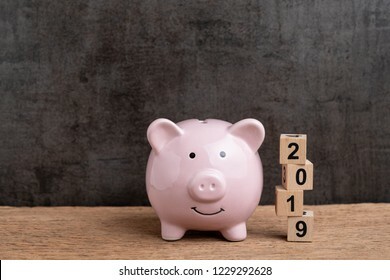 Year 2019 financial target, budget, investment or business goals concept, pink piggy bank and stack of cube wooden block building year number 2019 on wood table with dark blackboard background. 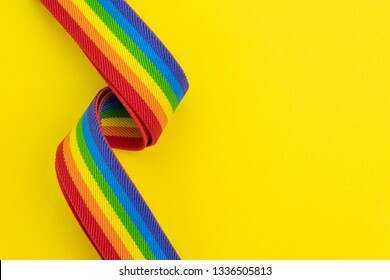 LGBT rainbow headband on solid yellow background with copy space using as celebrate of homosexual, lesbian, gay and transgender concept. 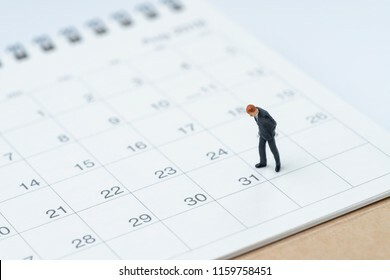 End of month for salary man concept, miniature people businessman office guy standing and looking at number 31 date, waiting to get money and pay day. 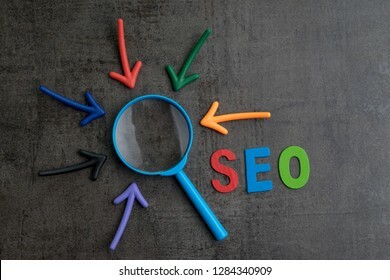 SEO, Search Engine Optimization ranking concept, magnifying glass with arrows pointing to alphabets abbreviation SEO at the center of cement wall chalkboard, the idea of promote traffic to website. 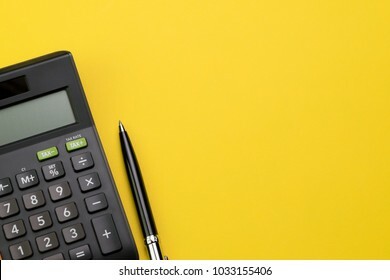 Flat lay or top view of black pen with calculator on vivid yellow background table with blank copy space, math, cost, tax or investment calculation. 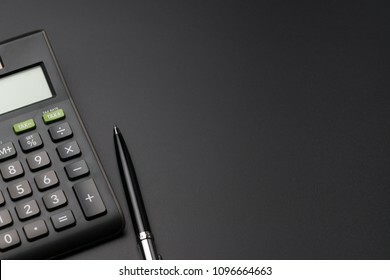 Expense, cost, budget and tax or investment calculation, black pen with calculator on dark black background table with blank copy space. 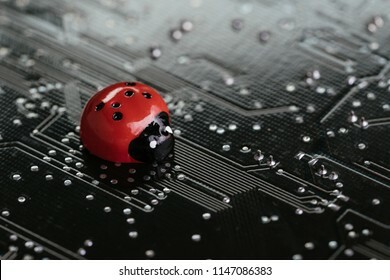 Computer bug, failure or error of software and hardware concept, miniature red ladybug on black computer motherboard PCB with soldering, programmer can debug to search for cause of error. 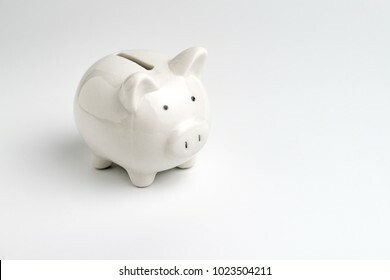 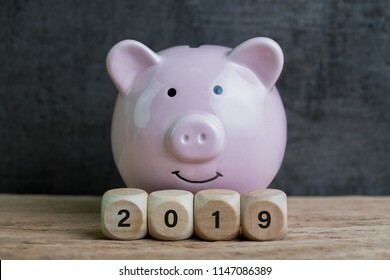 Year 2019 financial goal, happy smiling pink piggy bank with wooden cube block with number 2019 on table and dark black background. 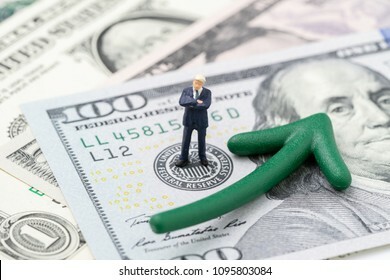 FED consider interest rate hike, world economics and inflation control, miniature businessman leader standing on US Federal Reserve emblem on dollars banknote with green arrow rising up. 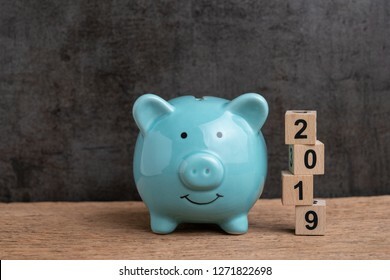 Year 2019 happy saving target, budget, investment or finance goals concept, blue piggy bank and stack of cube wooden block building unstable risk year number 2019 on wood table with dark background. 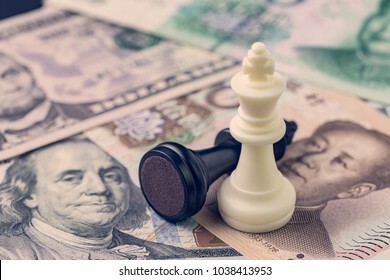 US and China finance trade war concept, black loser and white winner chess king on US dollar and china yuan banknotes, world major market countries. 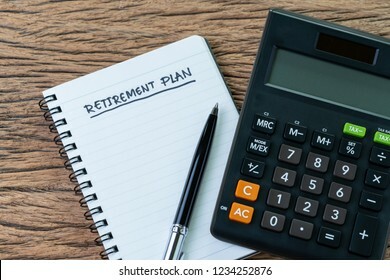 Retirement planning concept, calculator with empty notepad with pen and handwriting underline headline as Retirement Plan on wood table, plan of saving and investment for expense after retire life. 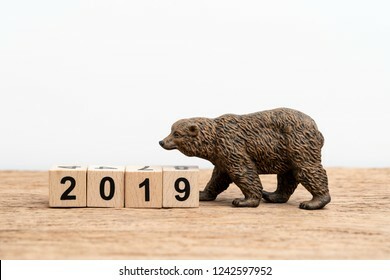 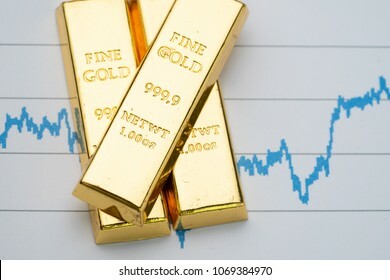 Year 2019 financial, equity or stock investment bear market concept with bear figure waking with stack of cube block building year number 2019 on wooden table white background with copy space. 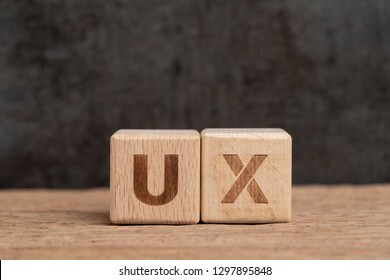 UX User Experience design in product and service concept, cube wooden block building acronym UX on table with blackboard with copy space, user centric method. 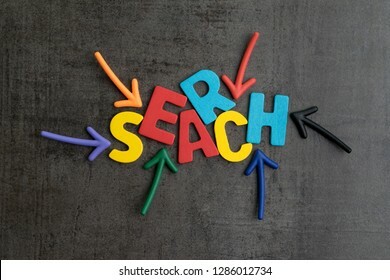 Search concept, best way finding website and content from the internet, result by SEO ranking, arrows pointing to word SEARCH at the center of cement wall chalkboard. 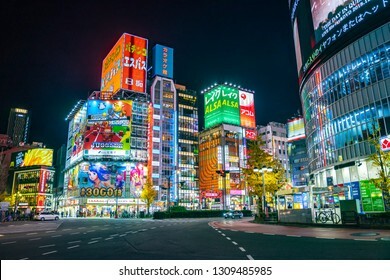 Shinjuku, Tokyo, Japan - December 24, 2018: View of cityscape at night with colorful advertisement billboard light beside the street in Shinjuku district at night in Tokyo, Japan. 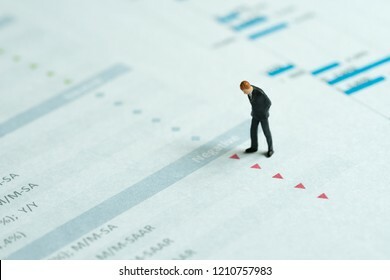 Miniature businessman looking at red down arrows of investment report, stock price drop, negative sentiment, financial crisis, situations in which some financial assets suddenly lose or value drop. 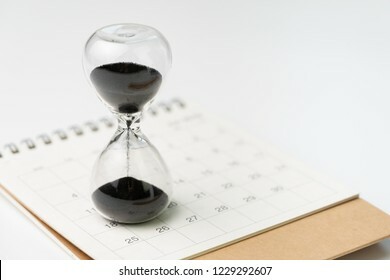 Sand glass or hour glass on white clean desktop calendar with white background and copy space using as time passing, year change or deadline concept. 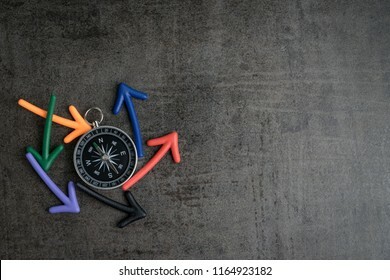 Uncertain path or multiple random life fortune and directions concept, compass at the center with magnet arrows pointing random multi directions on dark black chalkboard cement wall with copy space. 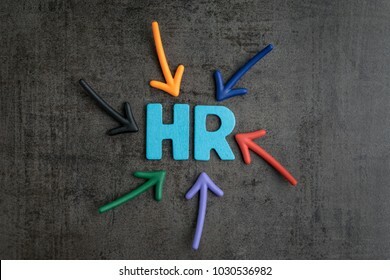 Colorful arrows pointing to the word HR at the center on black cement blackboard wall, represent Human Resource department, hiring new job or position in company. 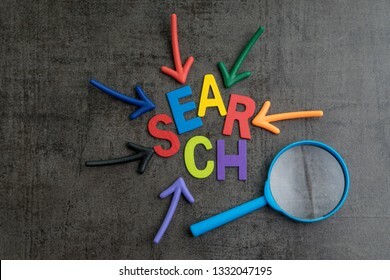 SEO, Search Engine Optimization ranking concept, arrows pointing to magnifying glass with the word Search at the center of cement wall chalkboard, the idea of promote traffic to website. 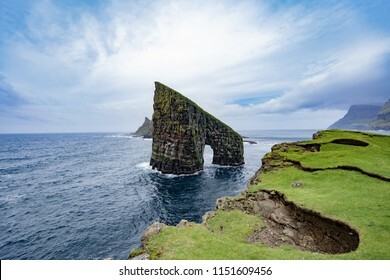 Amazing dramatic view of Drangarnir gate in front of Tindholmur in Vagar island, Faroe Islands, Denmark north atlantic ocean, best destination for hiking, stunning sea stack with deep blue water. 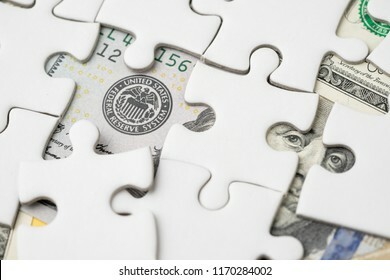 FED strategy of interest rate hike, United States of America financial or economics concept, jigsaw or puzzle reveals US Federal Reserve emblem and US ex president leader on dollars banknote. 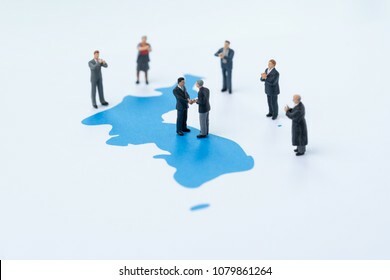 North and south korea peace, end war and denuclearization concept, miniature people country leader shake hands on Korea unification flag with other happy people admiring and clapping. 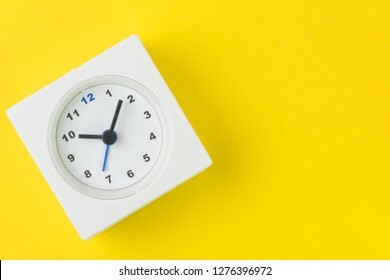 Time, deadline or reminder and schedule concept, minimal modern square alarm clock with white face on yellow background in flat lay or top view, studio shot with copy space. 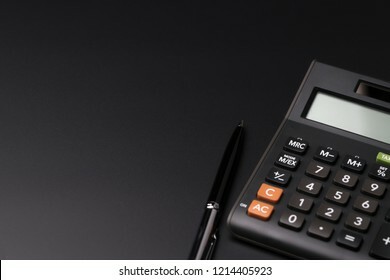 Math, cost, tax or investment calculation, flat lay or top view of black pen with calculator on dark black background table with blank copy space. 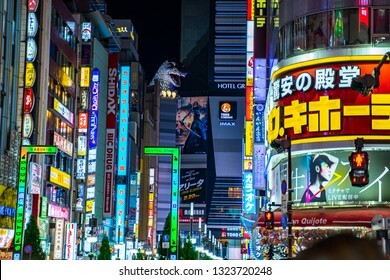 Shinjuku, Tokyo, Japan - December 24, 2018: Advertisement billboard light and Godzilla behind building in Shinjuku district at night in Tokyo, Japan. 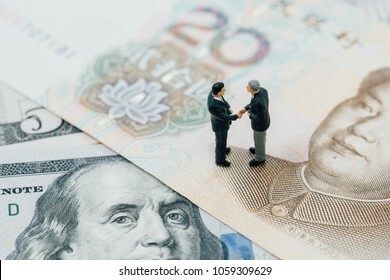 US and China financial tariff trade war negotiation talk, collaboration or discuss concept, miniature people businessman leader handshaking on Chinese yuan banknotes and US dollar. 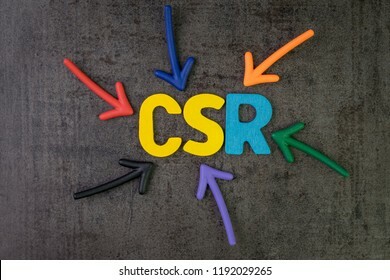 CSR, Corporate social responsibility concept, multi color arrows pointing to the abbreviation CSR at the center of black cement chalkboard wall, the activity to return profit back to people. 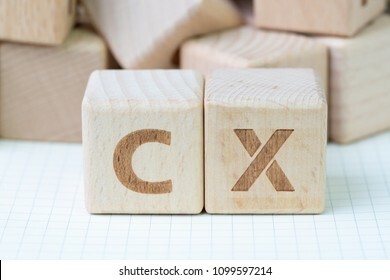 Customer Experience concept, cube wooden block with alphabet CX, important of user centric in recent world business, product and service. 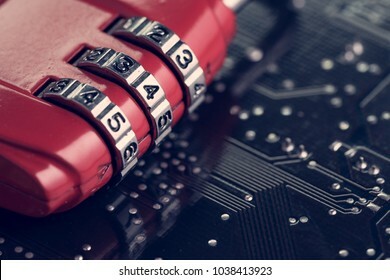 Digital cyber safety or security encryption concept, code numbers on combination pad lock on computer circuit board with solder, technology to encode online information or data protection. 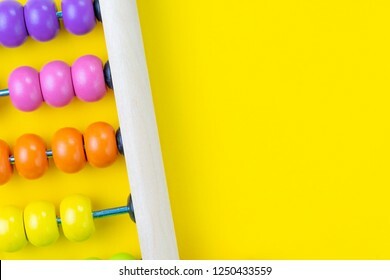 Colorful wooden pink and orange abacus beads on yellow background with copy space for presentation, business financial or accounting profit and loss concept, or use in education school arithmetic. 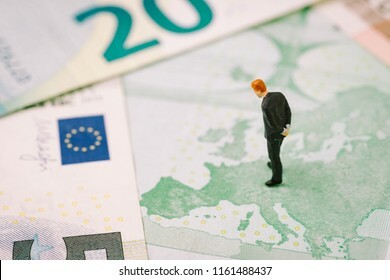 Europe, Brexit or Britain economy or financial concept, miniature figure businessman country leader standing on European map on Euro banknote looking at UK, England map. 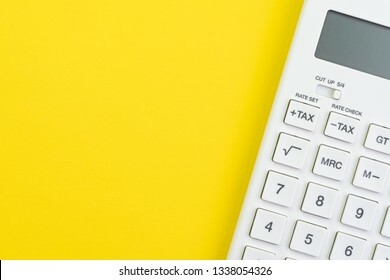 Mathematics, tax calculation, finance or investment concept, white clean calculator on solid yellow background with copy space. 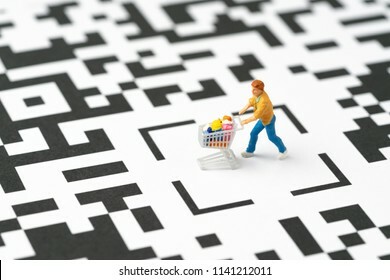 Miniature people figurine, a man with grocery in the shopping cart at the center of labyrinth QR code, ecommerce, consumer is mainly buy and sale in new innovation technology mobile channel. 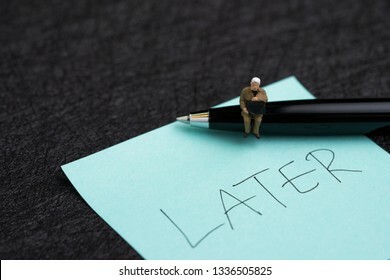 Miniature businessman sitting on pen and sticky note with hand writing the word Later on dark black background using as procrastination, lazy and postpone concept. 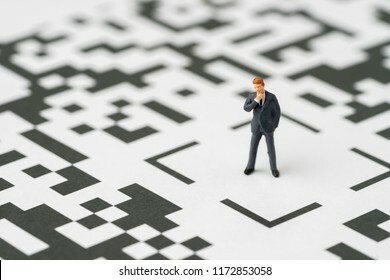 Leadership, solution for digital business idea concept, miniature figurine businessman standing at the center of confusing QR code labyrinth maze thinking to be success with confident. 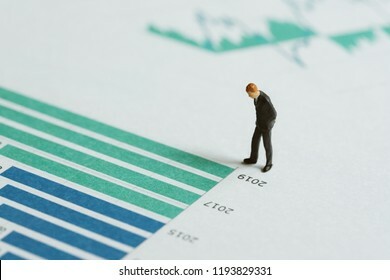 Miniature businessman leader standing with bar graph and chart of company annual report with vision of year 2019 revenue growth in green bar, forecast of company profit and stock investment concept. 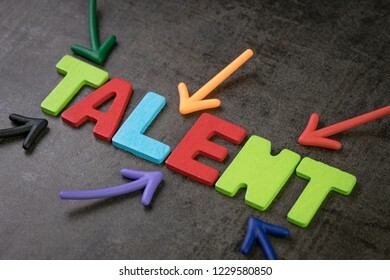 Business talents finding, recruitment for HR, Human Resource concept, colorful arrows pointing to alphabet TALENT at the center of chalkboard, searching for the right ability or skill people. 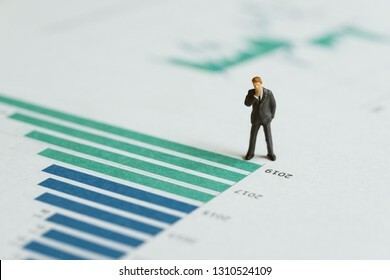 Financial performance report analysis or investment concept, miniature people figure success businessman leader standing and thinking on printed company yearly revenue graph and chart document. 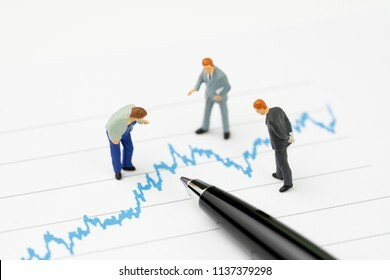 Financial analysis, investment consultant or advisor concept, miniature professional businessmen standing and looking, review on volatility blue stock market line graph data report with pen. 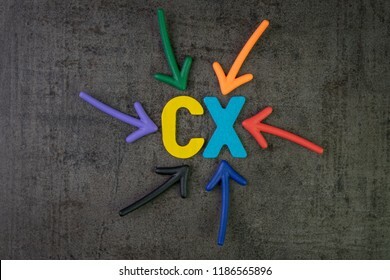 CX, Customer Experience concept, colorful arrows pointing to alphabet CX at the center of chalkboard, important of customer centric experience design in recent world business, product and service. 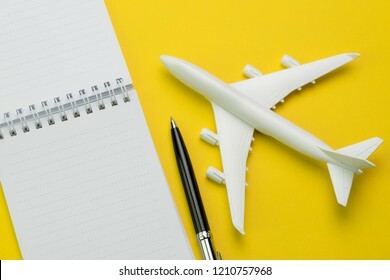 Flat lay of toy airplane with pen and white clean paper notepad on vivid yellow background, travel destination wishlist or planning, holiday and vacation trip planning in flat lay concept. 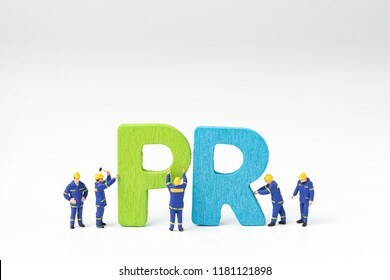 PR, Public Relations concept, miniature people staff help building color wooden letters forming word PR on white background with copy space, spread of information from organization to the public. 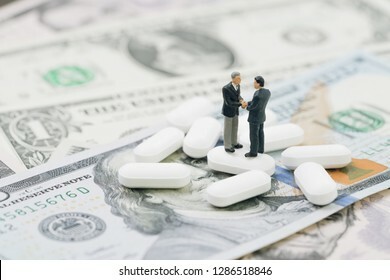 Merger or business discussion for health care and medical industry concept, miniature businessman shaking hand standing on white tablet pills on US dollar banknotes, success in medical research deal. 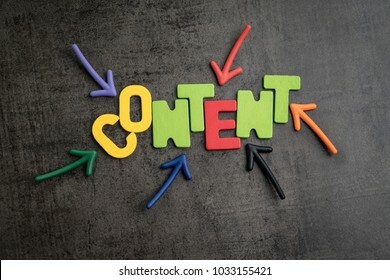 Colorful arrows pointing to the word CONTENT at the center on black cement wall, content is king in advertising and communication concept, creativity of using content on website and social media. 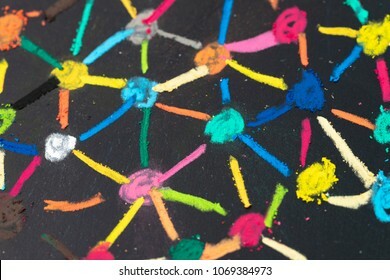 Social network or decentralize concept, macro view of colorful pastel link and connect chalk line between multiple dot or teer on blackboard. 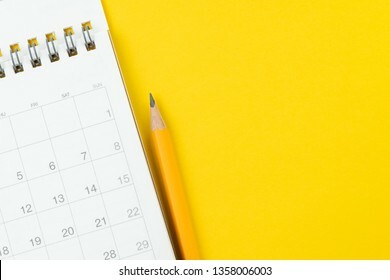 White clean calendar with yellow pencil on solid yellow background with copy space using as reminder, schedule or business project plan and timeline concept. 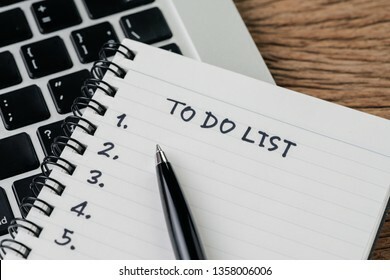 To do list, checklist of things or tasks to complete for life habit, business project plan concept, black pen on notepad with headline To do list and list of numbers on computer laptop, wooden table. 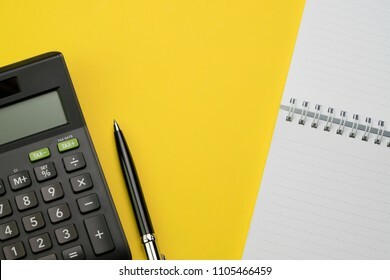 Accounting, financial concept, flat lay or top view of black pen, calculator with white notepad on vivid yellow background table with blank copy space, math, cost, tax or investment calculation. 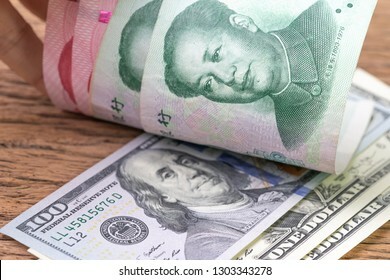 China and USA finance trade war talk or tariff discussion metaphor, US dollar banknotes face up to Chinese Yuan banknotes, confront of world major commerce market countries. 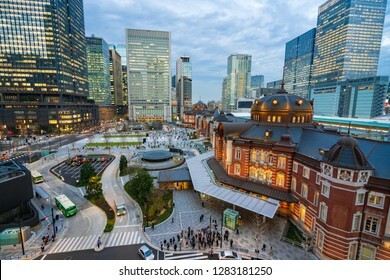 Tokyo Station, Tokyo, Japan - December 26, 2018: Railway or train station in Marunouchi surround by cityscape of business district of Chiyoda, twilight time in the evening. 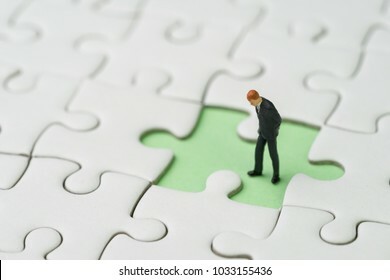 Finding the missing piece for business success concept, miniature people businessman standing and looking at the missing white jigsaw puzzle piece on pastel green background. 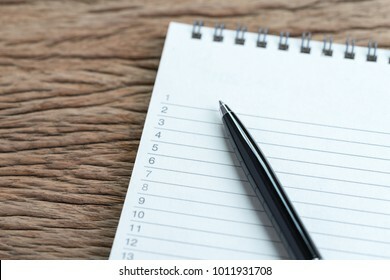 Personal to do lists or work, tasks priority concept, closed up of list of numbers on white clean paper notepad with black pen on wood table in soft tone, organize or writing projects. 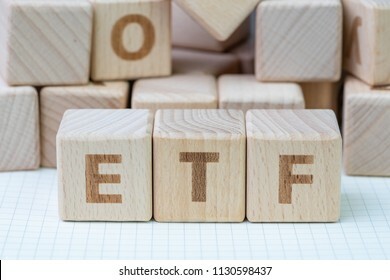 ETF, Exchange Traded Fund, realtime mutual index fund that can trade in equity stock market, cube wooden block with alphabet building the word ETF on grid line paper, random block in the background. 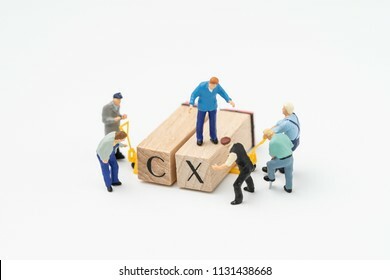 Customer Experience in product and service concept, miniature people workers with blue team uniform building cube wooden block with acronym CX on table with blackboard, user review or feedback. 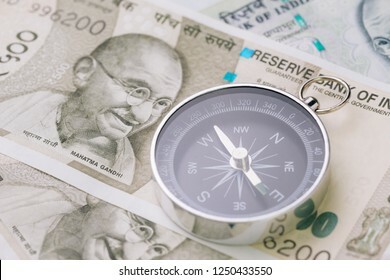 Direction of india financial and economy, new asia developing and emerging market high growth country concept, closed up of compass on indian rupee banknotes on table. 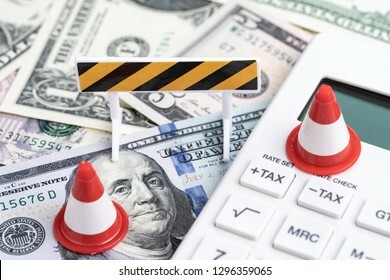 Fixing or under construction financial crisis, loan or budget concept, miniature traffic cones on white calculator with tax buttons on pile of US America dollar banknotes money. 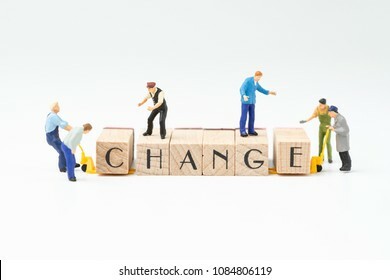 Business change, transform or self development for success concept, miniature people figure, workers, employee staffs help move wooden stamp block to arrange the word CHANGE on white background. 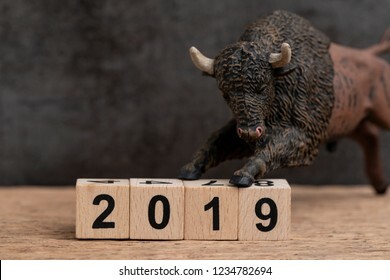 Year 2019 financial or investment stock bull market concept with bull figure on cube block with year number 2019 on wooden table with dark chalkboard background with copy space. 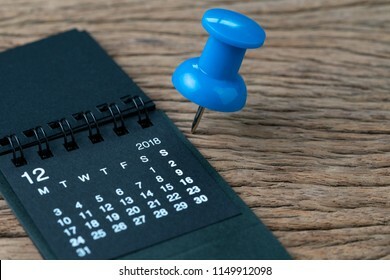 2018 year end review, date planning, appointment, deadline or holiday concept, big blue pushpin or thumbtack pin on wooden table next to black clean calendar on month of December. 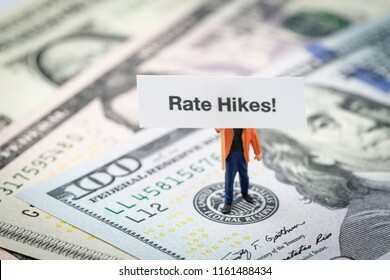 FED consider interest rate hike, world economics and inflation control, miniature man holding Rate Hikes sign standing on US Federal Reserve emblem on dollars banknote. 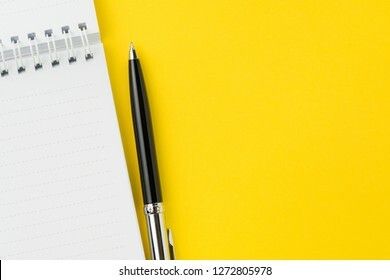 Top view of black pen with clean white notebook open with copy space on solid yellow table background for presentation, writer or school education, blogger, novel and friction or brand story concept. 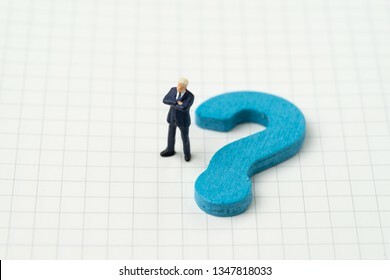 Start with why, asking question and answer concept, miniature business man standing with blue wooden question mark symbol on white grid line note book paper. 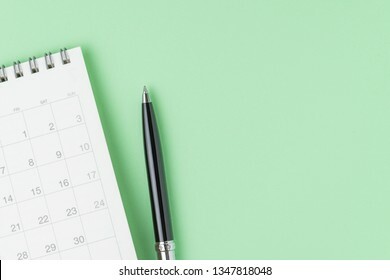 White clean calendar with black pen on pastel green background with copy space using as reminder, schedule, meeting agenda and work planning concept. 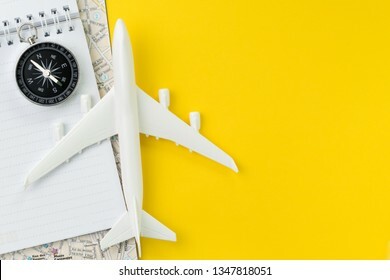 top view of miniature airplane, compass, notepad and map on vivid yellow background table with blank copy space. 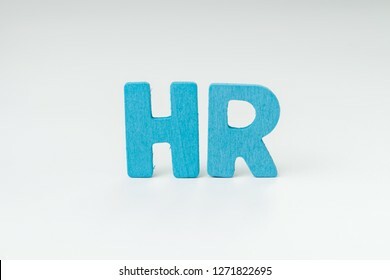 HR, Human Resource department, hiring new job or position in company concept, miniature people uniform worker team help building wooden alphabet the word HR at the center with white background. 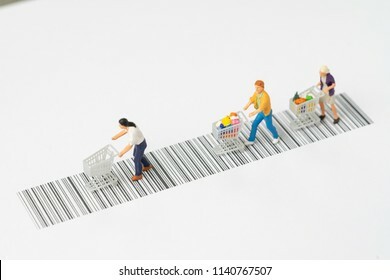 Miniature people figurine with grocery in the shopping cart rally on the bar code using as ecommerce, consumer or buy and sale in new technology channel concept. 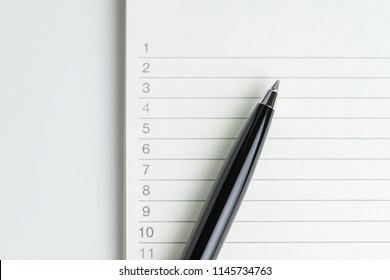 Close-up of pen on empty note paper sheet, white note pad with number listed priority or to do tasks. 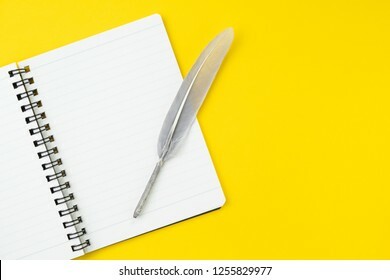 Quill or feather on clean white notebook open with copy space on solid yellow table background for presentation, writer or school education, blogger, novel and friction or brand story concept. 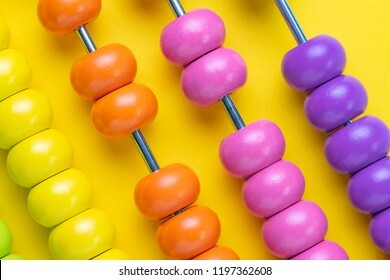 Colorful wooden pink and orange abacus beads on yellow background, business financial or accounting profit and loss concept, or use in education school arithmetic symbol. 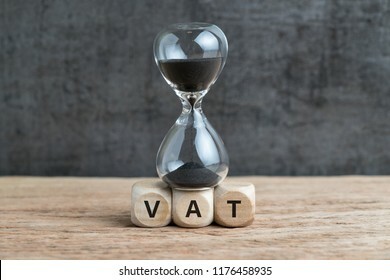 Time countdown for VAT increase deadline concept, hourglass or sandglass on cube wooden block with alphabets VAT, Value Added Tax on wood table with dark black loft cement wall. 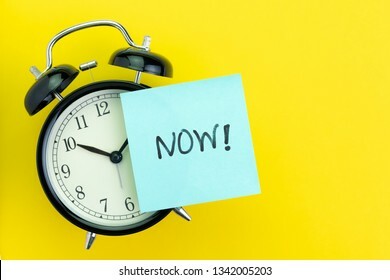 Sticky post with handwriting the word Now stick on alarm clock on solid yellow background with copy space using as stop procrastination, self discipline or motivation to complete task. 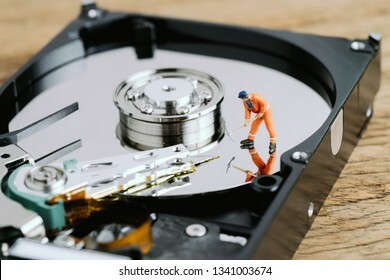 Miniature worker or professional staff digging on HDD, hard drive using as data mining, data restore or fixing and repair computer hardware concept. 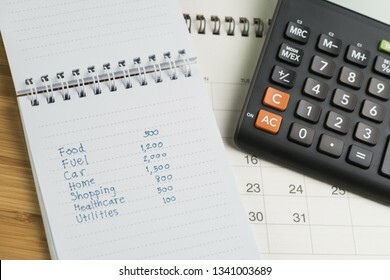 Expense and budget concept, list of expense in small notepad and calculator on desktop calendar on wooden table. 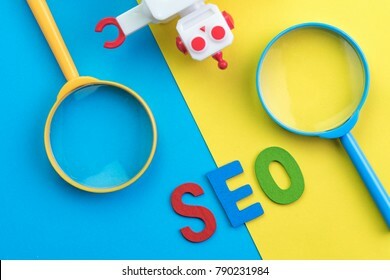 SEO Search engine optimization concept with blue and yellow magnifying glass, alphabet abbreviation SEO and robot on colorful background. 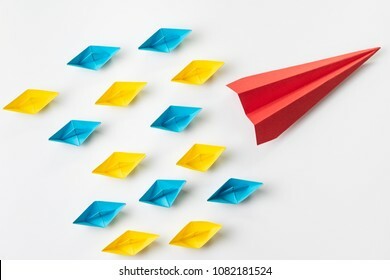 Leadership, influencer, KOL, key opinion leader concept, big red paper plane origami fly lead in front of colorful small yellow and blue paper ship fleet on white background. 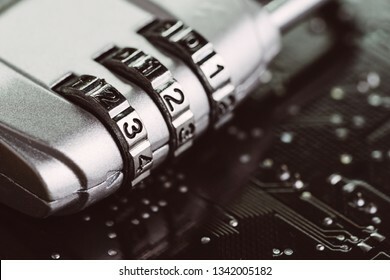 Code numbers on combination pad lock on computer circuit board with solder, digital cyber safety or security encryption concept, technology to encode online information or data protection. 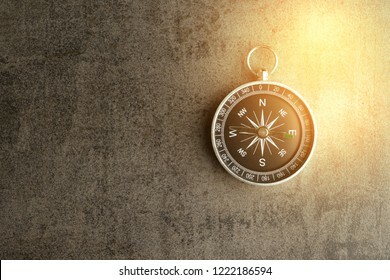 Compass on dark black textured chalkboard with artificial golden flare with copy space using as direction, travel or adventure journey concept. 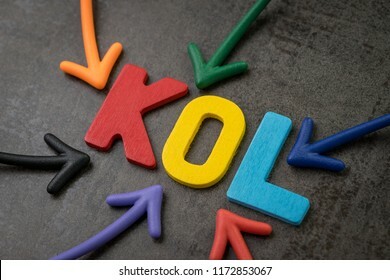 KOL abbreviation of Key Opinion Leader, influencer concept, colorful arrows pointing to the word KOL at the center of black cement wall, new social media marketing in digital world. 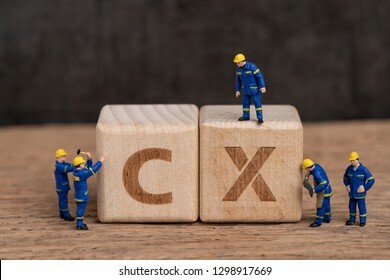 Customer Experience concept, miniature workers or creative team help building cube wooden block with alphabet CX, important of user centric in recent world business, product and service. 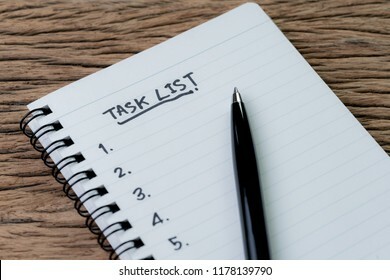 Task List, project management concept, pen on white paper notepad with handwritten headline as Task List and numbers listed on wood table, writing business project with tasks prioritize. 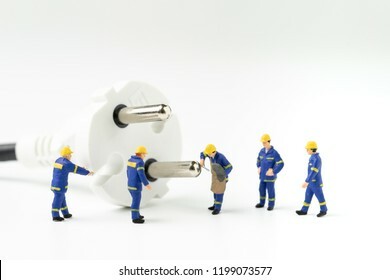 Sustainable energy, power consumption or electricity innovation concept, miniature people worker, technician help fixing or building electricity plug on white background with copy space. 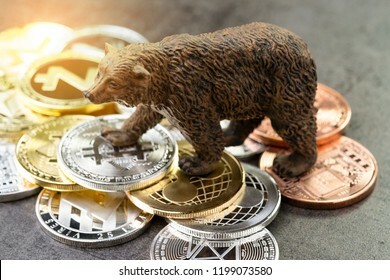 Bear market of crypto concept, price down or falling demand collapse of crypto currency, bear figure standing on bitcoin and various of cryptocurrency physical coins. 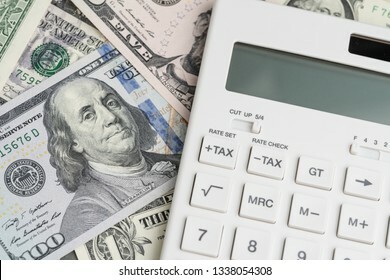 Flat lay or top view of clean white calculator with tax plus and tax minus buttons on pile of US Dollar banknotes money using as tax calculation, budget, investment or financial activities concept. 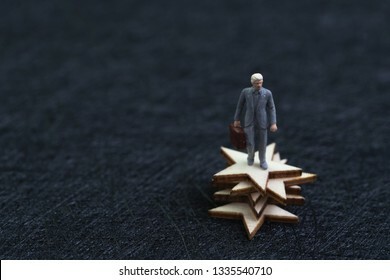 5 stars business, success winning or excellence satisfaction concept, miniature figure confidence businessman holding briefcase standing on stack of stars on dark black background with copy space. 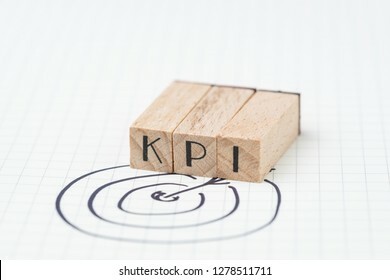 Key Performance Indicator, KPI concept, small wooden stamp combine the acronym KPI with hand draw arrow and target on white grid paper. 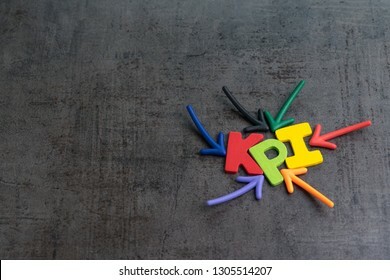 Metric or measurement to achieve or success in business. 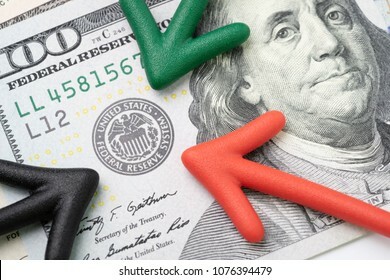 Green, red and black arrow pointing to US Federal Reserve emblem on hundred dollars banknote as FED consider interest rate hike, economics and inflation control national organization. 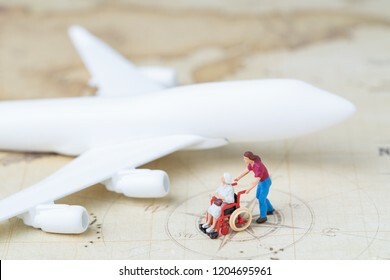 Medical trip planning or travel concept, miniature senior elderly people on wheelchair with son or caregiver standing with toy airplane on vintage world map with compass, next destination. 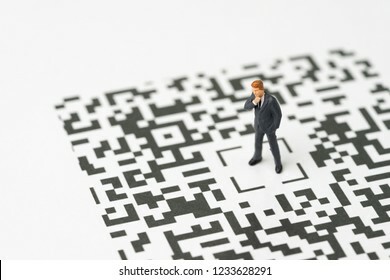 Leadership, solution for business idea concept, miniature figurine businessman standing at the center of confusing QR code labyrinth maze thinking to be success with confident. 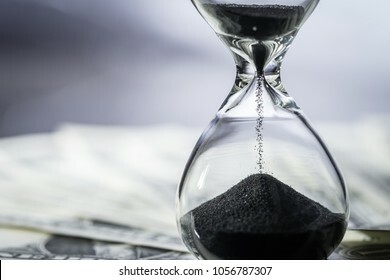 Closed up of sand falling in sandglass or hourglass on US Dollar bills as time running, long term investment or financial deadline concept. 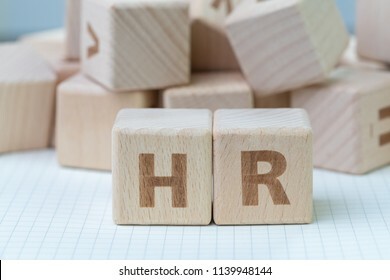 Wooden cube block building the word HR at the center on grid line note book with random other blocks in the background, represent Human Resource department, hiring new job or position in company.